This would be a cute little girl's card. 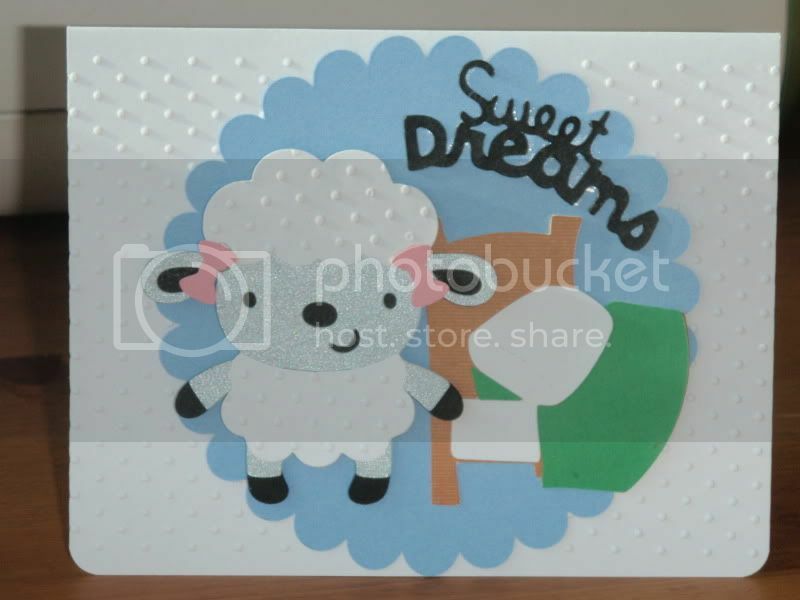 I ran the card and wooly part of the lamb through my BigKick using the Swiss Dots Cuttlebug embossing folder. The lamb is popped up using foam tape. Even though I do not have kids and have no need to make a "chore chart" in my house, I'm finding great uses for that Cricut Lite cartridge. 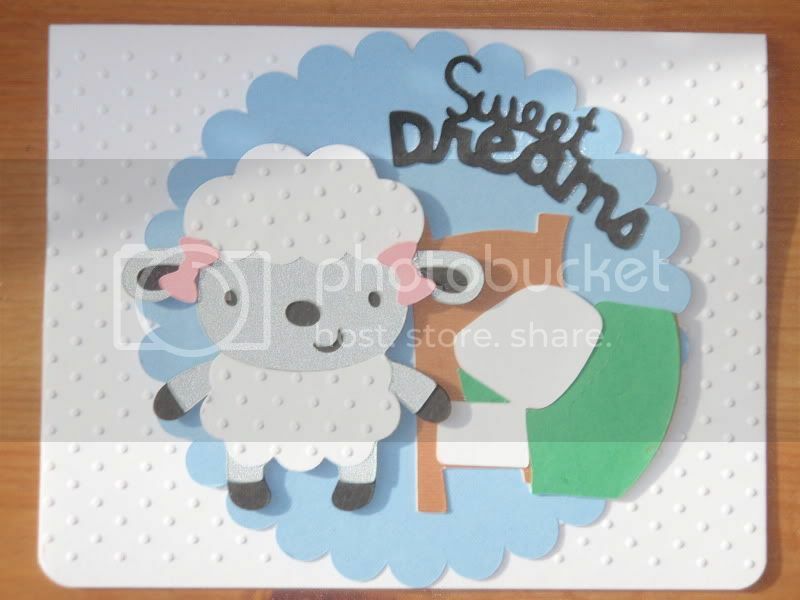 - Blue card stock scallop circle from Alphalicious cut at 3.75"
- Create a Critter lamb p. 71 cut at 2.75". I ran the "wooly" layer through the same embossing folder as above. It's hard to tell, but the gray/silver is glimmery. Message is cut at 1" and was run through my Xyron. - Chore Chart bed cut at 2.75"
Sorry for the glare, but you can see that I popped up the lamb to add dimension here.